The final stage is actually an ongoing process that will inevitably lead you to success in achieving your goals. We recommend that you have a look every day at the list of your weekly steps. It will take you only a minute but in return, you will get the energy and motivation to keep pursuing your objective. It is also very important that you and your Goal Buddy review on a regular basis your progress, analyze it, and also draw conclusions and guidelines for improvement. That’s how this happens. If you are a beginner at goal setting and you don’t have full clarity about your visions and goals, then just do it – call your Buddy and discuss these together. At this stage, these are the most important meetings. Talk on the phone every week, and if you prefer, you can also meet. Here’s how these should be happening. The talk shouldn’t be more than 20 minutes. You might be tempted to exceed it, but the rule is to follow the protocol and only after you have finished, then you can decide whether you have time for anything extra. But then talk about what hasn’t been done. Your Buddy will ask you three questions: Why couldn’t you do it? What did you learn? How can you do better next time? In the end, you have to choose one step for the next week. Change roles with your Goal Buddy and go through the same process. It’s your partner’s turn to share, and you ask the questions. Set up a date and time to meet at the end of the 90 day period. Make sure that the date is on the calendar and don’t make any other commitments for that day. Use the templates of this Guide during the meeting to review your progress. Here’s how this day goes. Go quickly through your notes from Step 3 – “The What I Want Manifesto” and if needed make corrections. Repeat Step 4 – “The Vision Gameplan” for each of your visions. Chose a maximum of three to five action goals over the next 90-day period. The few, the better! Write down the specific weekly steps for each of your goals. Finally, make an overall review with your Goal Buddy. How have these 3 months been for you? What has worked out? What needs the extra effort to be improved? Then repeat the whole process with the roles reversed. The best time is between Christmas and the New Year holidays. Again, plan ahead and put in your calendar. Make sure you don’t miss this important meeting. Repeat the exercises in Step 2 –“The True Goals Discovery”. It is good to rethink these once a year. Repeat Step 4 – “The Vision Gameplan” for each of your visions. Formulate a maximum of five action goals over the next 90-day period. Again, the fewer the action goals the better for your focus. Write down specific weekly steps for each of your goals. 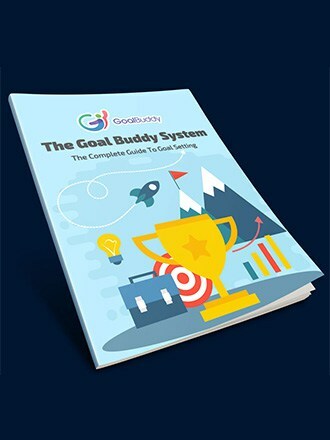 Finally, make an overall review with your Goal Buddy. How has the year been for you? What has worked out? What needs the extra effort to be improved? You have successfully completed this Guide. You already know what to do. You have all the resources you need to achieve your goals. Save your files and notes to use them for future reference.